The Malaysia Airlines on Friday has released official statement on MH17 flight incident which was reportedly shot down over eastern Ukraine. Malaysia Airlines flight MH17, which was on a scheduled flight from Amsterdam to Kuala Lumpur went down in eastern Ukraine. The flight departed at 12.15pm, local time. It was scheduled to arrive in Kuala Lumpur at 6.10 am, local, Malaysian time. 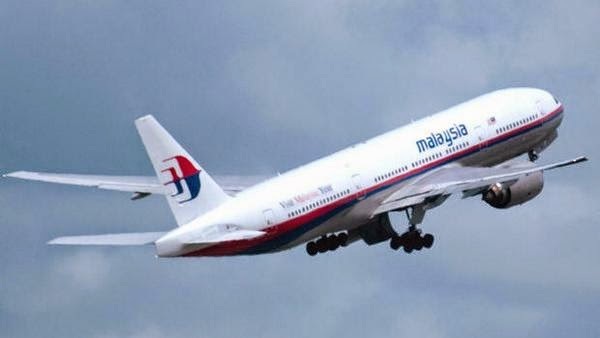 Malaysia Airlines confirms that the aircraft did not make a distress call. Malaysian Prime Minister Najib Razak have also spoken to the President of Ukraine. He has pledged that there will be a full, thorough and independent investigation, and Malaysian officials will be invited to take part. As opposed to the first statement, the flight was carrying a total number of 298 people – comprising 283 passengers including three infants of various nationalities and 15 crew of Malaysian nationality. Some of the nationalities of the passengers are yet to be determined. The Department of Foreign Affairs (DFA) on Friday afternoon already identified the names of 3 Filipinos aboard downed MH17 as Irene Gunawan, 54; Sherryl Shania Gunawan, 20; and Darryl Dwight Gunawan,15. "Our focus now is to work with the emergency responders and authorities and mobilize its full support to provide all possible care to the next-of-kin. Malaysia Airlines is deploying its “Go Team” to Amsterdam with a group of caregivers and volunteers to assist the family members of the passengers. ", the company said. The airline said it will provide regular updates on the situation. "As we work to understand what happened, our thoughts and prayers are with the family and friends of those onboard the flight. The flight’s passengers and crew came from many different countries. But today, regardless of nationality, we are all united in grief," Razak concluded.